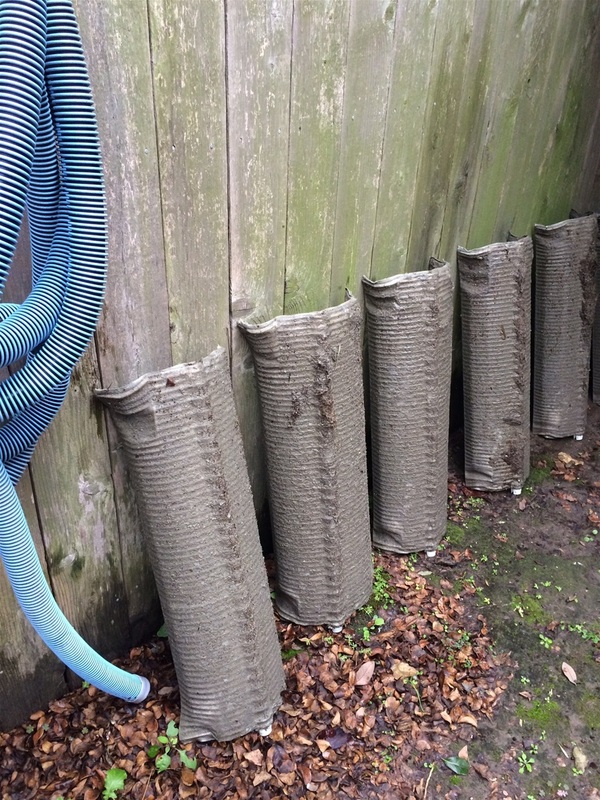 A dirty filter reduces the circulation of the pool. 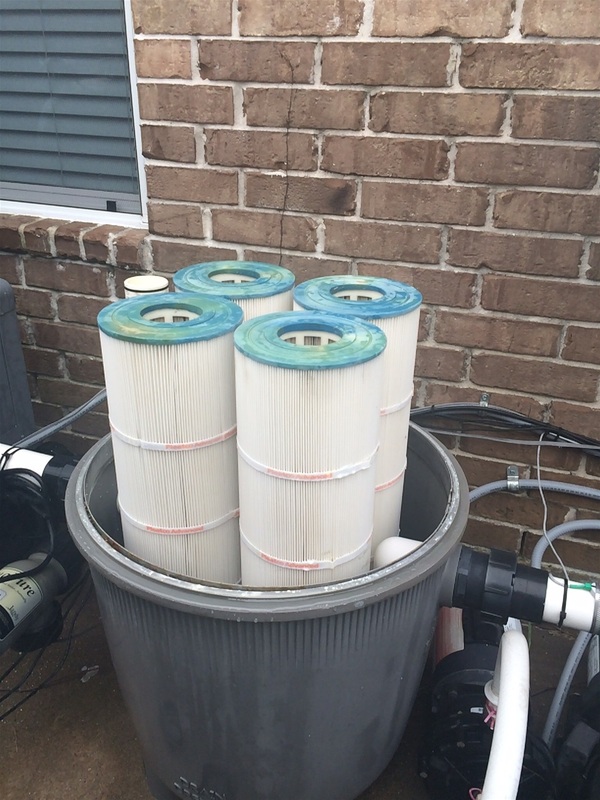 This allows algae to bloom and can cause significant damage to your filter and pump. 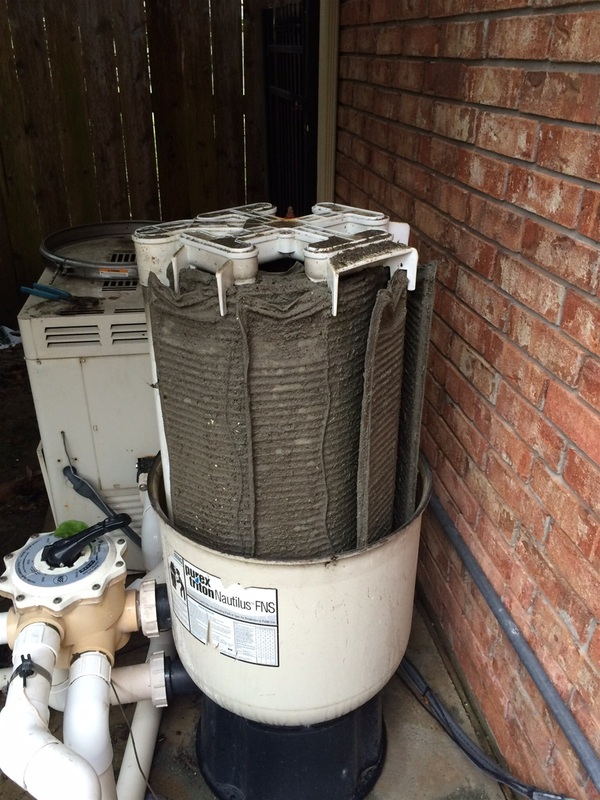 A dirty filter will also damage the internals of your filter and your pool pump. 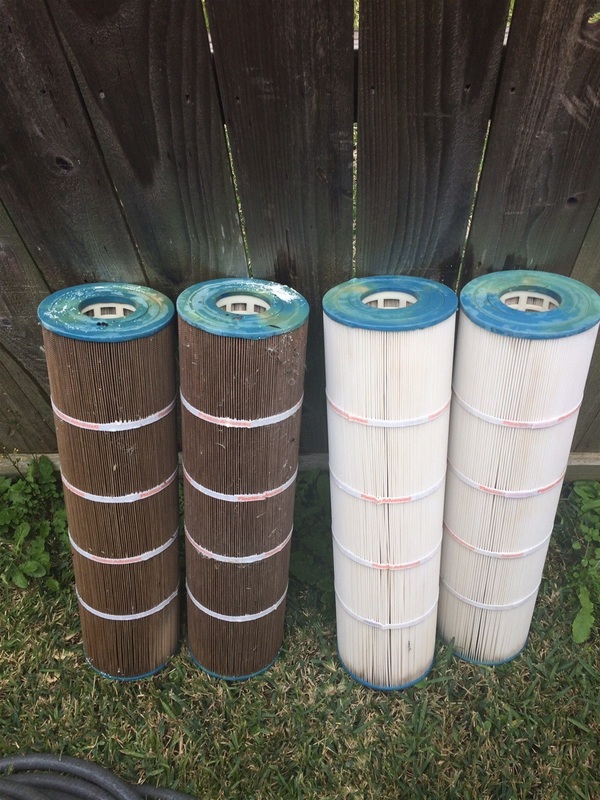 A clean filter reduces the risk of damage to the pool equipment while maximizing the cleanliness of your pool water. 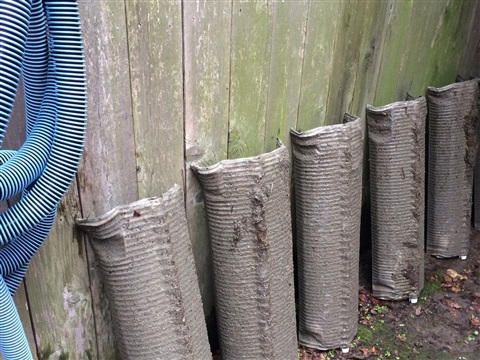 The above picture shows the damage of not maintaining a clean filter. Filter was due for a filter clean. 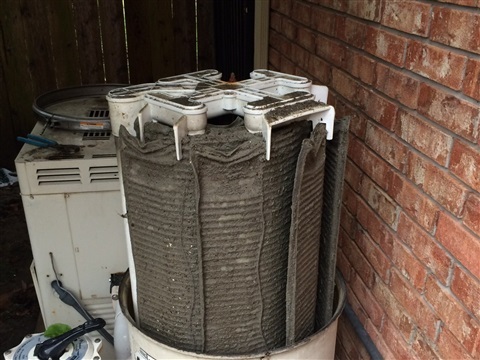 It is recommended to clean filter every six months. 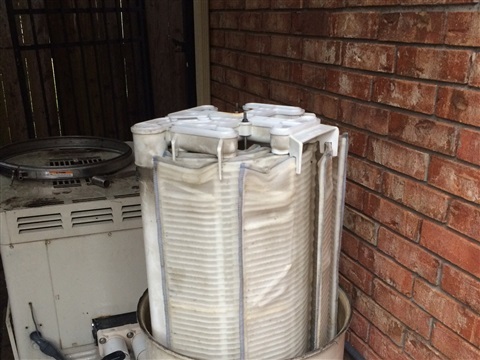 Result of properly maintaining a clean filter. Lower your electrical bill - A dirty filter that has been cleaned will often drop the average pressure on the tank by 5-10psi. This increased flow through the filter means the filter pump will draw less amps or power. Since your filter pump motor is one of the biggest consumers of power in your home this savings in power will directly affect your electric bill. 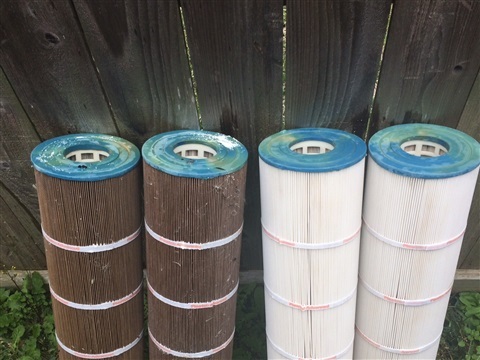 What does our filter cleaning cost? 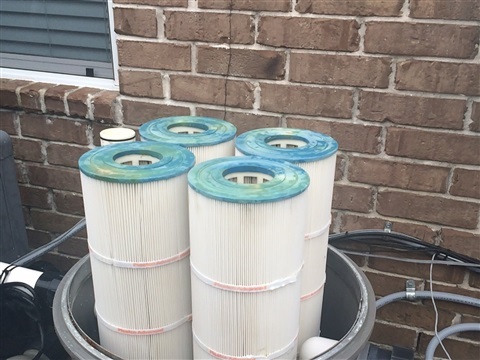 Our pool filter cleanings cost $50+tax for customers on our regular filter cleaning schedule where they have pre-approved cleanings based on the time frame they selected, usually every 6 months. 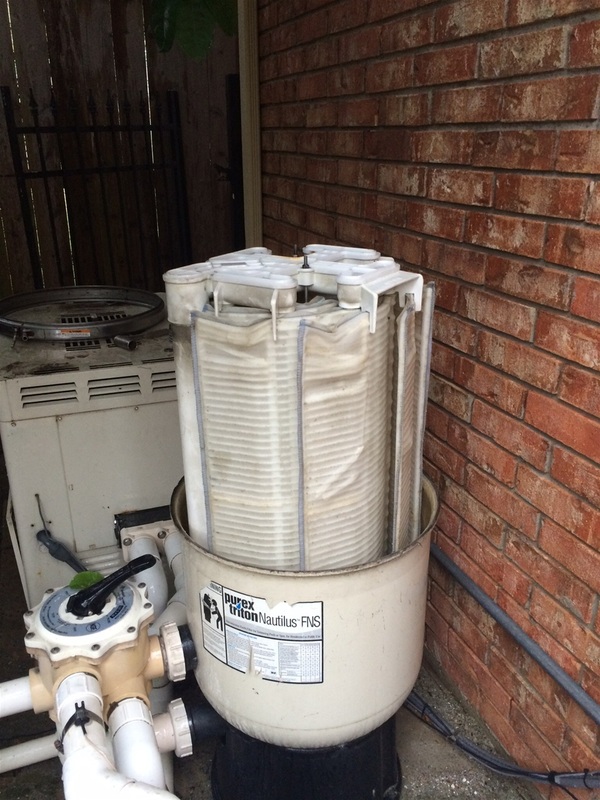 A one time filter cleaning costs $75+tax for non-customers.